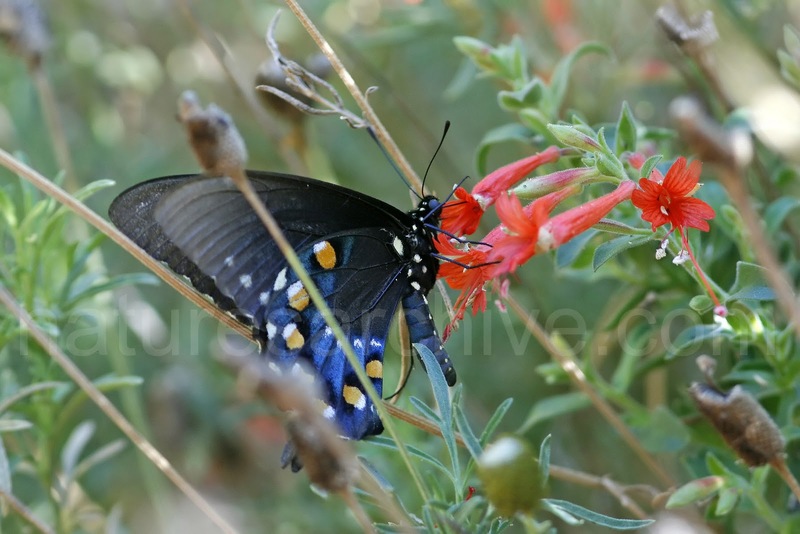 I had a previous post marveling at the beauty of the Pipevine Swallowtail (Battus philenor). Its black body with orange and blue spots, combined with its size, make for a striking sight. While sorting through pictures from last summer, I realized I actually obtained photos of a good chunk of the Pipevine Swallowtail lifecycle. 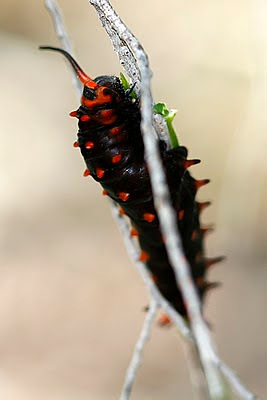 Pipevine Swallowtail larvae feed almost exclusively on pipevines (thus the name), so where you see pipevine, you are bound to see caterpillars and chrysalis. 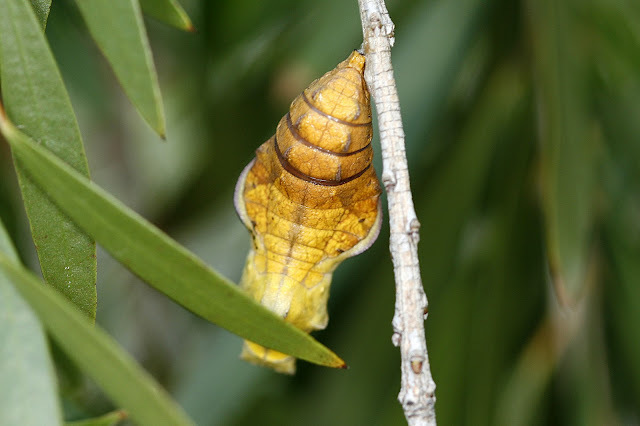 This was the case at Boyce Thompson Arboretum in late August. At left is a Pipevine Swallowtail caterpillar chomping away at the last leaf on a small pipevine. The pipevines near the paths at Boyce Thompson were all quite small - likely purposely cut back. That didn't stop the caterpillars - of the two dozen or so pipevines, each had at least one caterpillar - some had two or even four. And below is the chrysalis. Unfortunately no egg photos this time!